Cognition is the act of recognizing or of having knowledge. Thus, cognitive development theory explores the mental processes used in “the formation of all internal processes such as perception, intuition, and reasoning” (dictionary.com, 2012). Although basic cognitive theory can be traced back to seventeenth century philosopher Rene Descartes, cognitive theory development as we know it has been pursued more aggressively since the middle of the twentieth century. Beginning with linguist Noam Chomsky and his 1959 critique of cognitive empiricism and operant conditioning as researched by B.F. Skinner (Boeree, 2006), the discipline as a whole has become more widely considered as scientists and various researchers in the field have realized that only by using a more holistic approach to psychological studies will they be able to understand the developmental capacities of the mind. The process of learning language and processing data is not a random phenomenon; human beings are innately imbued with the Language Acquisition Device (LAD) that other mammal’s lack. While many animals are capable of communication, only the human can adequately articulate his need through vocal representation. Attention to cognitive science has increased dramatically since the middle of the twentieth century. While some mental processes are measurable, it is virtually impossible to adequately establish what determines how an individual perceives, remembers, thinks, or solves problems. "Cognitive psychology concerns how people perceive, understand, evaluate and think. Cognitive psychologists argue that the mind is a processor of information - we receive information through the senses, we try to understand that information and its relation to us, and we transmit information to others. (Fulcher, 2003)"
Thus, without cognition, full understanding and realization of mental processes is impossible. Perception is influenced by emotion and cultural background. What appears one way to one individual will vary greatly to the next. Cognitive psychology differs from previous psychological approaches in two key ways. It accepts the use of the scientific method, and generally rejects introspection as a valid method of investigation - in contrast with such approaches as Freudian psychology. Additionally, it explicitly acknowledges the existence of internal mental states (such as belief, desire, idea, knowledge, and motivation) (Schunk, 2008). Understandably, many scientists and researchers argue that the empirical nature of cognitive psychology is at war with the immeasurable mental states of cognitive thought. However, given the very functioning of the brain in relation to higher thinking, it is a natural progression from empiricism to cognition. Every human child has the biological ability to acquire language. Developmentally normal children construct the grammar of his or her native language without the help of others. However, two conditions exist in order for the child to perform: “(1) he must recognize the physical and social events which are encoded in language, and (2) he must be able to process, organize, and store linguistic information” (Slobin, 2004). In other words, the child must be able to comprehend both the meaning and the form of the syllables in order to process them internally. Spoken language can be broken down into phonology, syntax, semantics, morphology, and pragmatics. “To be sure, all languages contain cases of sound symbolism and onomatopoeia which by-pass the principle of arbitrariness . . . [e]ach sound has a meaning” (Weinreich, 1955). Naturally, children acquire their first words by placing meaning upon familiar objects. For example, the word “cat” has no meaning to a child until the child associates “cat” and the object that is a cat. When recognition (cognition) occurs, the child will gradually obtain more vocabulary words, as well as the mental acuity to use them. Many older children (even as old as the age of fifteen) still maintain problems with the construction of proper grammar, even with adequate instruction. It is evident that language acquisition does not necessarily occur through the learning of semantics or by cognitive complexity; at some point formal linguistic ability comes into play. Chomsky offers that children know how to form a sentence, but they do not know why they know how (Ormond, 2012, p. 224). This is where the study of psycholinguistics becomes much more interesting because it is here that the scientist tries to understand what exactly constructs the LAD, and why it varies from child to child. The conventions of a language are learned by interacting with experienced users, i.e. adults, of that culture. However, linguistic interchange can be false or otherwise deceptive without prior semantic knowledge. “Linguistic messages may refer to things remote in time and space, or both, from the site of the communication” (Hockett, 1966). Humans acquire perception and comprehension of language through language acquisition. This also allows them the capability to reproduce this knowledge in conversations with others. Humans are not limited to a finite vocabulary. New words and phrases are constantly being coined, especially with regards to scientific and technological fields. What scientists still fail to pinpoint is precisely how first and second languages are acquired. All sentences are built from syntactical units that have been assigned specific places, or word order, in a sentence. Chomsky, however, posited that native speakers are born with an innate ability to develop language because they are born with a cognitive sense of language. “In a fairly obvious sense, any native speaker of a language can be said to know the grammar of his or her native language" (Radford, 2004). All developmentally normal English speakers are at least moderately successful in following the rules of language acquisition. The differences in pronunciation and syntactical configuration, however, vary from region to region and the way in which the speaker has evolved his original, basic, language acquisition as a child. This is what determines social or regional dialect. Also important to the study of syntax in the field of psycholinguistics is the study of semantics. The poverty of the stimulus is the assertion that “natural language grammar is unlearnable given the relatively limited data available to children learning a language, and therefore that this knowledge is supplemented with some sort of innate linguistic capacity” (Langacker, 1999). Chomsky suggests that there are patterns in grammar that children cannot learn simply through watching and listening to their caregivers. He also concludes that children must have some innate capacity for language independent of outside stimuli. By the age of about five years, or approximately when the child is ready to begin school, most all children have learned the same basic speech patterns. As most children do not have the luxury of being born to linguists instructors of English grammar, Chomsky rationalizes that children innately posses the ability to construct grammar patterns on their own. Chomsky’s view adheres to a natavistic approach in that he believes that certain skills or abilities are hard wired into the brain at birth. He argues that humans are born with certain cognitive abilities that enable them to learn and acquire certain skills. “For example, children demonstrate a facility for acquiring spoken language but require intense training to learn to read and write” (Slobin, 2004). Nativism enables a child to grow exponentially once spoken language has been realized at a significant level. Language use is a complex cognitive phenomenon, and is one of the areas that distinguishes humans from animals. Humans learn words at rapid rates, learning about 45,000 words around the time the average person graduates high school (Radford, 2004). Cognitive psychology studies how people think, remember, create, and speak. Cognitive development theory is ever changing as more knowledge is gained and added to the catalogue of information already in existence. Compounding on this study is the field of psycholinguistics, founded by linguist Noam Chomsky. 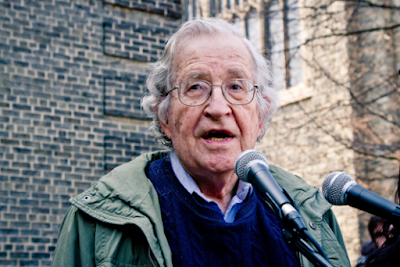 Chomsky’s ideas have set the standard for the way that language acquisition and development is viewed. Kevin C. Costley, Ph.D. and Jaime Nelson. (2013). Avram Noam Chomsky and His Cognitive Development Theory. 0 Response to "Noam Chomsky and His Cognitive Development Theory"